ABSTRACT：With the emergence of digital economy, an increasing number of firms are competing and operating based on digital computing technologies. This challenges the traditional strategic thinking, contesting the basic assumptions and imploring new research questions. In this paper, we highlight some of the novel attributes associated with firm strategy in digital economy, investigating how firms make strategic choices in the virtual competition and their performance implications, and exploring a series of new research questions in strategy and international business research. 讲座人简介：Sali Li, Associate Professor, Sonoco International Business Department, Moore School of Business, University of South Carolina. Dr. Li joined the IB faculty at MSB since 2013. Prior to that, he was an Assistant Professor at the Lubar School of Business, University of Wisconsin-Milwaukee. He teaches global strategic management in the IMBA Program, and cross-cultural negotiation in the IB undergraduate and MIB programs. Professor Li's primary research interests cover multinational strategy, revisiting the resource based view, and international entrepreneurship, with particular focus on emerging economies. 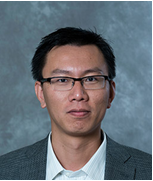 Dr. Li's research has been published in top tier academic journals, including the Academy of Management Review, Strategic Management Journal, Journal of International Business Studies, and Journal of Management. He currently is serving on the editorial board of the Asia Pacific Journal of Management, Journal of International Management, Journal of Management, and Long Range Planning. He is a reviewer for other journals, including: Journal of International Business Studies and Strategic Management Journal. Professionally, he is a member of the Academy of Management, Academy of International Business, International Association for Chinese Management Research, and Strategic Management Society.